Paris Photo and Aperture Foundation have announced the winners of the 2012 PhotoBook Awards. Winning the PhotoBook of the Year is City Diary (Volumes 1-3) by Anders Petersen published by Steidl. 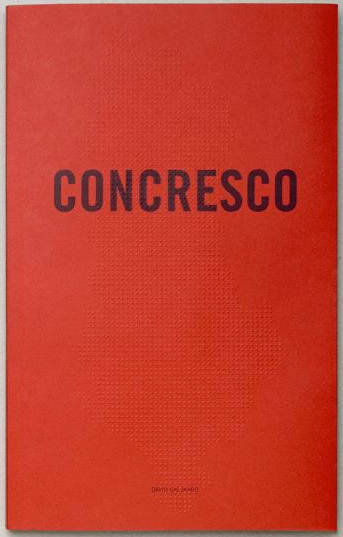 The First PhotoBook award was given to a self-published book by Dutch photographer David Galjaard titled Concresco. In Concresco, Galjaard documents some of the 750,000 above ground bunkers that exist as remnants of Stalinist leadership in Albania. Galjaard's website says: "In this documentary, the bunkers are used as a visual metaphor in the telling of a larger social story. They help to paint a picture of developments in a country that was the last in Europe to renounce communism and has set out on a demanding quest to become part of the capitalist West." Joerg Colberg reviewed the book earlier this year, which can be read here. Images from the book can be viewed on Galjaard's website. We are currently inquiring about carrying this book. Email us if you'd like to be notified when it is available. For more information on the event, we recommend this great video on the book exhibition at Paris Photo, where Chris Boot and Lesley Martin discuss the awards and winning books. Paris Photo Photobook Awards 2012 from Paris Photo on Vimeo.